• Carnage has evolved to the next level and the world is in deep trouble. 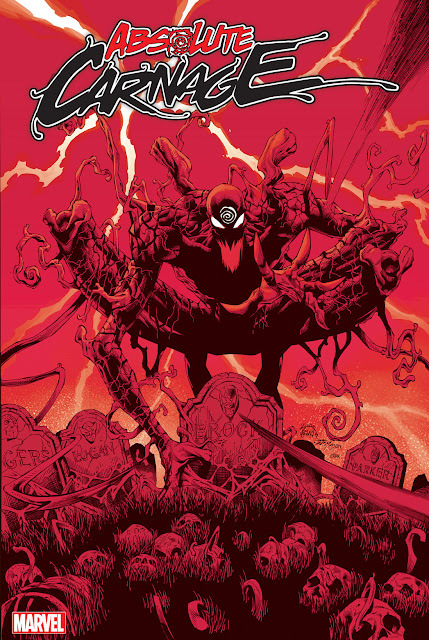 • Powered up, Carnage has set his sights far wider than ever before and with this new power and his general psychopathic tendencies, the oceans are going to be red with blood. • Can Man-Wolf, Toxin and crew possibly contain him? 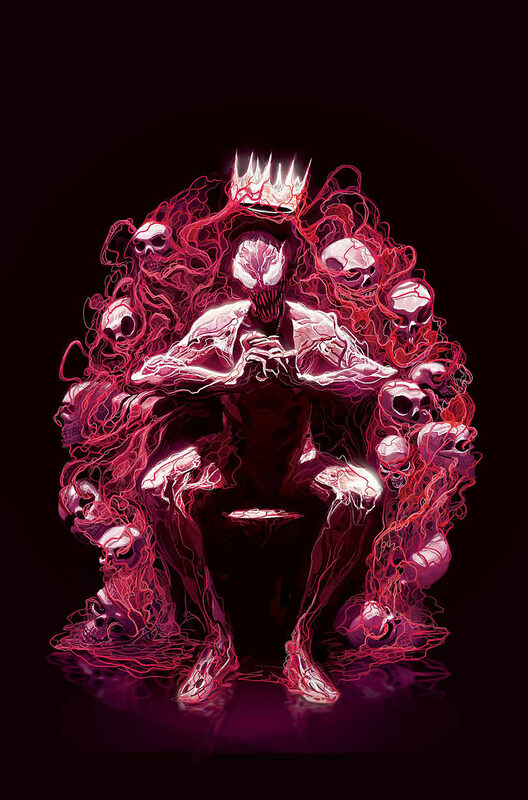 CAN A SYMBIOTE TRULY CHANGE ITS INKY BLACKNESS? Flash and Pik Rollo cleverly penetrated Mercurio's defenses...by getting captured and thrown in his dungeon. 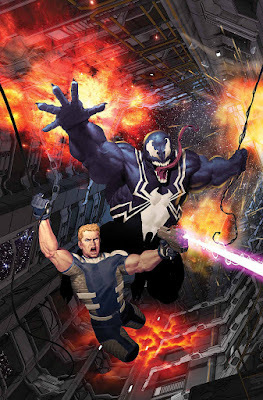 Can Mercurio corrupt the symbiote to serve as his suit and partner in atrocities? Is this the return of the big bad Venom?